Lola is a Whippet. She belongs to the same family as the Greyhounds. Lola and her owner go for a jog everyday. Her owner wasn’t in jogging until she got Lola. She stopped her running to talk with me and to take a break from their jog. ‘They’ were running Whippets, for dog racing, long before ‘they’ were running Greyhounds. Originally, Whippets were Greyhounds that were too small. The breeders would have to maim them so they couldn’t hunt. Then, later, the breeders started to bred these smaller Greyhounds and they became the Whippets. Very rich people and nobility would own Whippets for racing until people started racing Greyhounds. 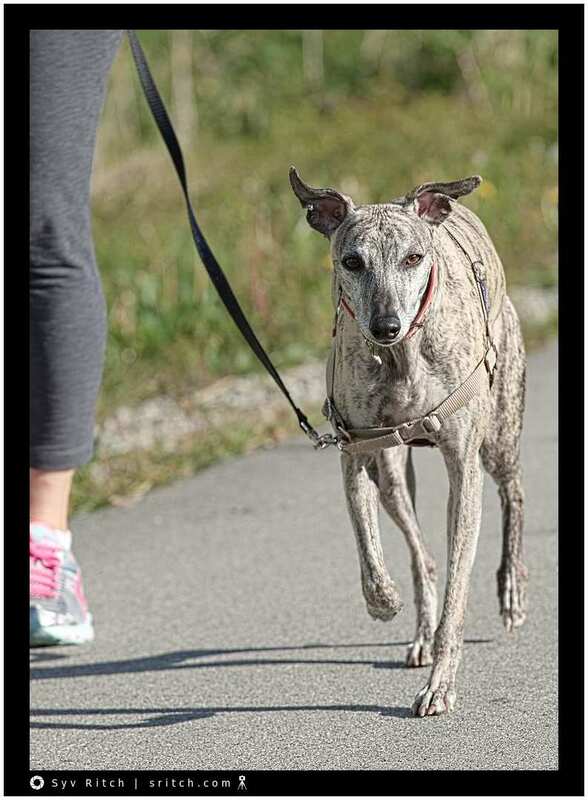 Now the Whippets are companions that love to run and love to hunt rats or rabbits.